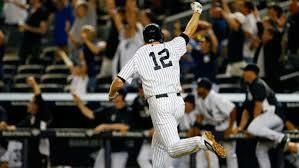 Plaaaaaaaaayyyyyyyyy Ball! 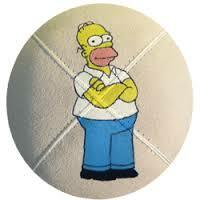 Spring is here and it’s time we start counting the homers… I mean Homer… I mean… what? Omer? 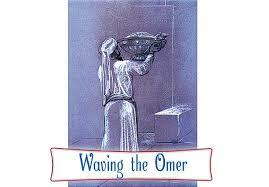 What’s an Omer? When I first starting going through my Siddur in earnest, I saw Counting Of The Omer, and did not really understand what it was… But now I do and am taking great pleasure in counting, simply praying and counting. 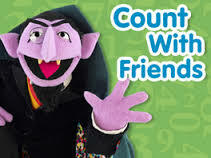 Just think of me as the Jewish Count! Achat, Shtayim, Shalosh… So… An omer is a Biblical measure of grain… an offering. We start on the second day of Passover and for each day between then and Shavuot, we say a blessing (sefirat) and literally count the days… 50 total… From the day of the Exodus to the day the Jews were given the Torah. And yes, there IS an APP for that! The Omer App I happen to be using is from Chabad, which gives me the good fortune of reading the thoughts of the “Lubavitcher Rebbe” as condensed and written by the great Tzvi Freeman. I highly recommend listening to Tzvi on Chabad.org. His talks on life and prayer and the Kabbalah are inspiring. 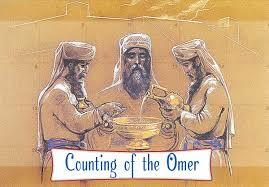 There are laws and specifics as to how and when you count the Omer. Apparently there are also supposed to be no weddings, parties or dinners with dancing during this period, and haircuts are also forbidden. It’s very Sampson ish. One of the criticisms I recently heard against Judaism was that it was a religion of laws and not beauty. That struck me as very odd. I am in the midst of reading the Torah and it is definitely not all that I expected. 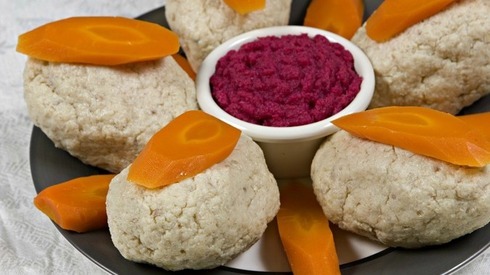 So while I would agree that we DO have many laws… and the 613 Mitzvot… I have always seen the beauty of Jewish customs and traditions, the cultural joys, and yes, even the beauty and strange deliciousness of Gefilte fish with horseradish. For me, and I honestly believe for anyone who takes the time to explore it and learn, Judaism is so much more than just laws. If it wasn’t, I wouldn’t be hanging around. On the other hand, in a very positive way, Jewish law and the Sanhedrin set up a pretty good blueprint for out own legal and judicial system. So we have that going for us, which is nice. In Judaism, I find such remarkable beauty and joy and wonder. There is the practical and the spiritual… the explained and the mystical. Just think about the power and inspiration in saying a different prayer every day and receiving a different meditation, a life affirming thought or idea to ponder. It is brilliant and powerful. We should do this DAILY, and many of us in prayer or the study of Torah do, but thanks to the mitzvah of Counting the Omer, we can right now, and at the very least, do it for 50 straight days. Counting… Sure it can be a cold endeavor, and yes, it is most often used for simply tracking quantity. But think on this: “How do I love thee? Let me count the ways.” – Elizabeth Barrett Browning Counting is a way of measuring what we want… but perhaps more importantly, assessing and taking stock of what we already have. Judaism teaches us that everything we need and want is already within us. We simply need to learn how to tap into it and let it out. We need to open our eyes and hearts and souls to discover, celebrate and embrace the miracles and wonders of life that we already have. On Day 1, Tzvi wrote: “Wherever you go, there you are.” Day 4: “Know with absolute certainty – because this is a tradition of our sages – that if your true intent is good, then from it only good can emerge.” Day 6: “Instead of doing what is nice, do what is right.” Day 8: “To achieve wonders takes a heart both humble and fearless.” These ideas are simple in nature, but complex in thought and so challenging to put into action. THIS is what I love about Judaism, and am really only now discovering. It provides such great insight and practicality into how to live a good and righteous life, and despite what the world thinks and says, in spite of the hate and anti-Semitism, these are our values, Jewish values… Kindness, generosity, education, freedom, love, peace and honor. These ideas are not always easy… They do not come without question and debate… but in the somewhat simple counting of the Omer, it gives us a daily guide, a daily thought, a daily philosophy from which to ponder and grow and use to make our lives richer and more meaningful. That is definitely something worth counting. “Envy is the art of counting the other fellow’s blessings instead of your own.” – Harold Coffin “Man is fond of counting his troubles, but he does not count his joys. If he counted them up as he ought to, he would see that every lot has enough happiness provided for it.” – Fyodor Dostoevsky Let us count our loved ones and friends and count on them… and allow others to count on us. 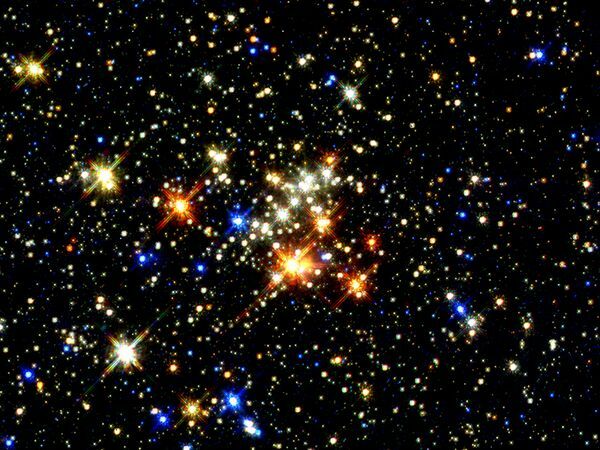 Let us count the stars and make our wishes, and most significantly, let us count on the wishes that have already come true. So until Shavuot, let us say the prayer and count the Omer every single night. And every single day, let us count our literal blessings, and the true miracles in our lives, large or small. Amen!